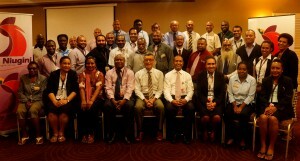 All Port Managers from Air Niugini’s domestic network met in Port Moresby over the weekend for the Port Managers’ conference. The conference is held annually, where Port Managers discuss achievements and challenges faced at their respective ports and suggest ways to improve ways. 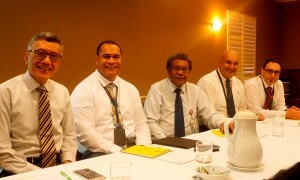 The conference also allows for open and interactive discussions between the port managers and the staff and management at the head office in Port Moresby.